Now on Ebay if you do a BUY IT NOW you can’t list it for 7 days.. it has to be good till cancelled the same as Bonanza. That means no one sees it for 30 days. This is the same as Bonanza except on Bonz no one sees it at all unless they put in search the identical words as in your title. EBAY HAS JUST HELP PUT ITSELF OUT OF BUSINESS!! I was a seller on ebay for seven years until yesterday 3/19/19, when the good til cancelled kicked in. I have ended all of my listings over there. When you relist anything over there now, you get the GTC message. They are doing away with the fixed price listings as they end. 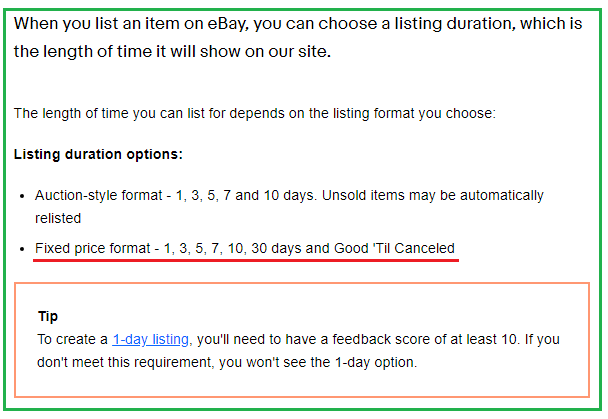 You will need to catch your listing before the 30 day mark, which in my opinion, that is what ebay is hoping you will not do so you will incur an additional charge when it re-lists…….I am confused with however why you compared ebay to Bonanza? Ebay is an auction site, they have auctions and now a 30 day listing or good GTC. On Bonanza you can list your items up as long as you want, so how is that the same as Bonanza?? I quit selling on ebay years ago, I was a top rated seller when they started pushing back hard against the sellers with all their new rules, so I left and never looked back. There are better sites to sell on than that one. I was wondering why I was charged fees for relisting. I removed everything. Yes, i believe the good till cancelled is actually 30 days, ebay would relist the item if you did not catch it…….Bonanza is a selling site like Mercari, Tradesy, and even if you had your own website, “Good till cancelled” is ebay verbage, i have never heard it used on any other “selling” site. I had 33 listings ending today so got up REAL early and canceled all but 7 or 8 of them to make sure they don’t get relisted. ’Fixed price format – 1, 3, 5, 7, 10, 30 days and Good ’Til Canceled"
And 5 days ago I still could add 7 days Buy It Now listings. (right now I have two 7 days duration listings and one 10 days). I dont believe the 30 day GTC is totally rplled out yet for ALL sellers. Heard 2 dates in March and have not hit those dates yet. Yes, I still believe this is a BIG Mistake to do this on EB. Read your Spring Seller update (ebay). 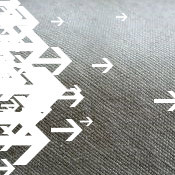 Yes, it has rolled out… GTC listings take effect for any new listings. But the new GTC policy only applies to Fixed Price — not auction listings. Even though the listings become GTC, you still are charged every time the item automatically re-lists every 30 days. When they relist an item it also counts against your free listings they give you every month. I guess if you don’t want it relisted you will have to cancel the listing before it ends. It started on March 18, or 19. I myself left eBay years ago, around 2010 I believe when it just went straight down hill. I remember making quite a big payday every month thru that site, those days are way beyond gone. As mentioned above there are many sites to sell on, I myself have 6 with Bonanza being my main location. If Bonanza had the same traffic it could knock eBay down to bottom place, but, it just isn’t there yet. Yep, that was about the time….Same here i cashed in big time on ebay every week till one day it all stopped due to ebay’s foolishness, and yes those days are over, ebay is not the “it” site any longer some may think it is, but its not. I’ve been selling on ebay for over 19 years & it’s never been as bad as it is now. Up until Nov. it was great~~it’s been steadily going downhill for me in sales. Right now I haven’t sold $500.00 in the last 30 days~~it was $1500.00~$2000.00 before. Trinket, I actually feel the same way about Bonz and EB getting joined at the hip. Like how EB is trying to be more like AMZ. Be your OWN SITE for petes sake, dont imitate. Totally CRAZY what Feebay is doing! !